The Gilded Wolves was such a magnificent book, and I’m so happy to have been able to read it. The story was built in such a complex way and the characters all felt so real. What inspired you to write this amazing book? Thank you so much!! Truthfully, I was inspired by the idea of writing something fun and lighthearted. When I set out to write The Gilded Wolves, what I wanted was essentially National Treasure without Nicholas Cage…sorry Nick. But in the end, the book became so much more. It became a deep dive into my own heritage, a process of reframing the mythical objects that the team chases after, and an interrogation of my own truth as a mixed race person with many privileges. It’s not a tale of teens taking down colonialism or what have you, it’s just the lens through which they have no choice but to look at the world around them. Can you give a brief summary on what The Gilded Wolves is about for those who haven’t come across it yet? 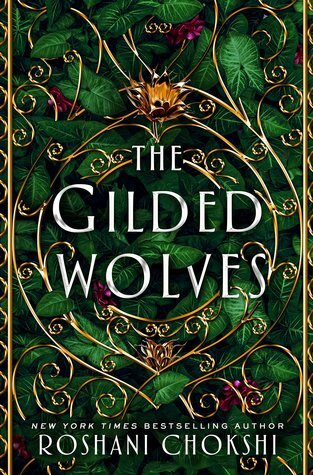 The Gilded Wolves is a story of a band of teens from different backgrounds in life who are led by the hotelier and treasure-hunting expert, Séverin Montagnet-Alarie, on a race to find a powerful artifact before it gets in the wrong hands. Do you have any advice on writing for all those aspiring authors? Read voraciously! Remember that you’re not a gallon of milk, and there’s NO EXPIRATION DATE for your success. Truly. I think one of the best/worst things about social media is that you can follow the lives of authors you look up to, but you have to remember that what you’re seeing is a highlight reel…it’s a curated look at life, and if you start comparing yourself and your writing/achievements to the people around you, you’ll only get in your own way. Was becoming an author always a dream of yours or did you dream of something else before that? Well, I wanted to be a witch/sorceress etc…but this is pretty close. Are there any authors that have inspired you? Holly Black, Catherynne Valente, Angela Carter, Neil Gaiman! WINTER OF THE WITCH by Katherine Arden, SADIE by Courtney Summers, KINGDOM OF COPPER by S.A. Chakraborty. If you could swap places with a fictional character (whether your own or otherwise) who would you be? I think it’d be fun to meander around as a flesh eating demon horse ala Kamala from The Star-Touched Queen. So, let’s say you’re stranded on an island and you only have three books with you. What would those three books be? UPROOTED by Naomi Novik, AMERICAN GODS by Neil Gaiman and TITHE by Holly Black. What was it like exploring different histories and backgrounds for The Gilded Wolves? And which was the most interesting to read about? I’m sure there was a lot of research to be done! It was so fascinating and, honestly, tragic at times. Even though that 1889 era of Paris was called La Belle Epoque, it was also a time of imperialism, colonial subjugation and violence. For me, it became a balancing act of honoring the spirit of the history even when I squished around some dates or certain historical events. Weirdly enough, the most interesting thing for me to learn about was the history of ice manufacturing! All because I just wanted to write the line “Séverin put ice in the champagne bucket” which launched this frantic questioning of: WAS THERE ICE IN 1889?!! The Gilded Wolves has such a large amount of diversity. So many readers have felt represented through these characters in different ways. How challenging was it for you to write all these different voices? And the story from different view points? It was intensely challenging, and also intensely rewarding. To write outside my own lived experience was a frightening prospect at times, but I also knew that I owed it to readers for my own world and characters to reflect the richness of life around us. I relied on many sensitivity readers from differing backgrounds to nail the character perspectives, and I hope I was successful. In terms of writing from different view points, it taught me a lot about craft. At any point in writing about an ensemble cast, it’s not always about keeping track of motivation, but keeping track of secrets. That’s what makes a story sticky…to consider what secrets the characters are keeping from each other, and how that affects their dynamic. Any future projects that we should look forward to? 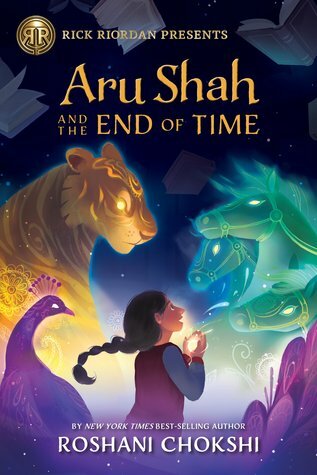 Right now I’m working on the sequel to The Gilded Wolves and Book 3 in the ARU SHAH AND THE END OF TIME series! Thank you to Roshani Chokshi who took the time to answer my questions even though she was on tour and really busy. Also thanks to her assistant, Sarah for making this possible, and helping this happen. Aww so happy you loved it, hun! 💖 thanks for reading! Great interview! We had her in to TBR last month and she is just so lovely (Sarah as well). Love your questions and Gilded Wolves was such an excellent book! Thank you! I really really hope you love it! It was such a well written book and Roshani is just amazing! Thank you for reading! I hope you love her books too! Thanks! So excited for you to read it! Thank you, Kat! 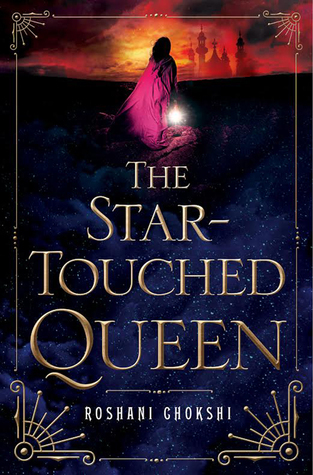 I haven’t read The Star-Touched Queen yet but hopefully I’ll read it this year. I really hope you get to pick up The Gilded Wolves soon. It’s amazing!